Find Vacation Rental Beach Houses on Panama City Beach in FL! Book online - beachfront homes, cottages and condos for rent. Oceanfront homes with private pools. One of the best destinations for families. Pay less (no service fees!) and get a great deal on popular rentals now. Find family fun things to do in the Gulf Coast of Florida. A tropical paradise for a romantic waterfront wedding. Listed below are other beach properties within a 50 mile radius of zip code 32408. Email for our discount rates for the fall months.SEPT AND OCTOBER IS BEAUTIFUL TIME TO BE IN PANAMA CITY BEACH. LOTS OF EVENTS GOING ON.DISCOUNT RATES IN MID-AUGUST AS WELL. GREAT WEATHER. Email for our discount rates for the fall months. SEPT AND OCTOBER IS BEAUTIFUL TIME TO BE IN PANAMA CITY BEACH. Forget A House, I Want That View! 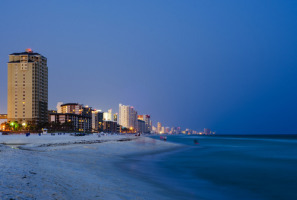 Panama City Beach has its reputation as the home of "The World's Most Beautiful Beaches". Why not choose a Panama City Beach vacation rental for your next trip? The pristinely clean and beautiful beach town located along the Emerald Coast is a great place to either relax by the seaside or shop around and visit the local marine centers, zoo, and other popular attractions in the area. If you're looking to book your Florida dream vacation, look no further than Panama City Beach. 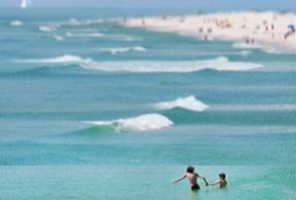 With miles of immaculate sugar-white sand and emerald green waters, Panama City Beach is a subtropical beach paradise. Located along the Gulf of Mexico in Florida's Great Northwest, Panama City Beach is visited by over six million people a year from all around the world. There's plenty to do at your Panama City Beach house rental. You and your family can visit amusement and water parks like Shipwreck Island, visit zoo and marine parks, or take a boat excursion. Hit a round of golf at the Signal Hill Golf course, or see the shops at Pier Park. Panama City Beach is one of the foremost vacation destinations along the Emerald coast With white sand beaches and emerald green water, you can always sit back and relax with a good book on the deck of your beach house. If you're looking for adventure or just a good place to put your feet up, consider visiting Panama City Beach. Panama City Beach has won many national awards for its glorious beaches. In 2001, The Travel Channel rated it as the "#4 beach in America". In 2000, Panama City Beach was chosen as part of the top five in "Best Beaches" by the readers of Southern Living, and it was selected #3 for "Most Healthy Urban Beach" by the Surfrider Foundation, which is an international group dedicated to protecting the world's oceans and beaches. Stephen Leatherman, also known as Dr. Beach, picked Panama City Beach as the "#1 Beach in America" in 1995. See for yourself, and rent a beach house in Panama City Beach today!